Puerto Rico’s governor said the commonwealth and federal team combating Hurricane Maria’s devastation is working smoothly and every resource he has asked for is either on the island or on the way. Food, water and fuel are flowing to the people most affected by the hurricane, Gov. Ricardo Rossello told reporters during a morning news conference from San Juan. The governor praised the federal response led by the Federal Emergency Management Agency and supported by the Defense Department. Around 10,000 people are in government shelters, he said, although that is down from 15,000 a week ago. He noted that Puerto Rico’s road system is being cleared and deliveries are being made directly to municipalities now. There are still some communities, he added, where the hurricane’s devastation has made travel difficult. And, the number of communications antennas in operation has doubled from yesterday, Rossello said. FEMA and DoD are leading this effort. Airports and seaports are receiving shipments, said Rossello, noting Puerto Rico’s main airport is receiving 35 flights a day and that traffic is expected to double within a week. Commonwealth medical experts have teamed with federal officials to examine hospitals and other medical facilities, the governor said. Part of the effort, he said, is to ensure the facilities have the fuel needed to power the generators supplying electricity. Fifty-one of the island’s 69 hospitals are open. 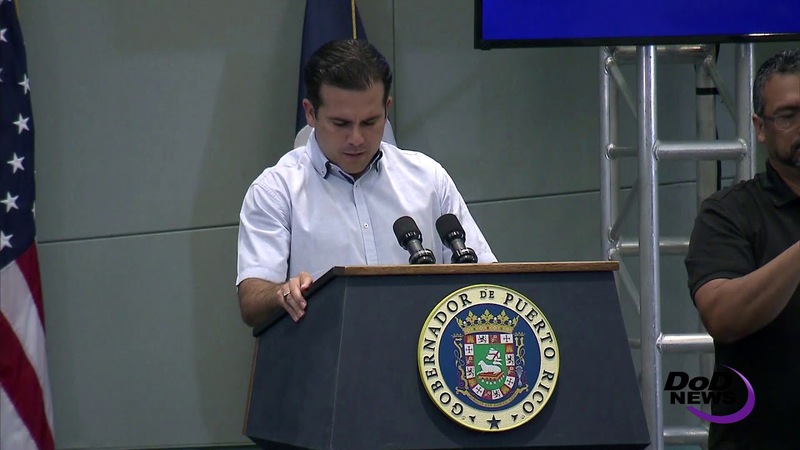 The improving hospital situation also points to progress on restoring the electrical grid, Rossello said, as nine hospitals now are working on external power. Also, the hospital ship USNS Comfort is en route to Puerto Rico, the governor said. Law enforcement officials and fire fighters from New York have arrived and they will work with Puerto Rican National Guardsmen around the island, Rossello said. Resources are also arriving from Kentucky, Alabama and Florida. The U.S. Army Corps of Engineers is working with local officials on power generation, water purification and sewage disposal since the storm hit, the governor said. Much needs to be done on the island as it enters the recovery phase of operations, said John Rabin, the acting FEMA regional administrator.